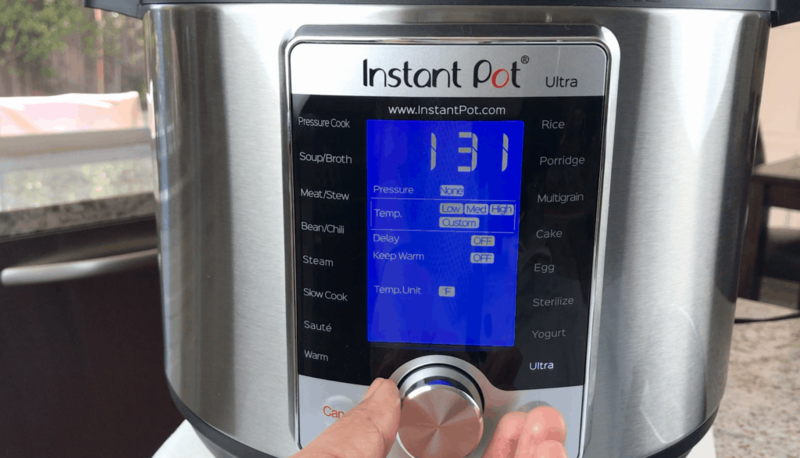 If you just got a new Instant Pot ULTRA, or are looking to buy one, you’ll find this information useful. 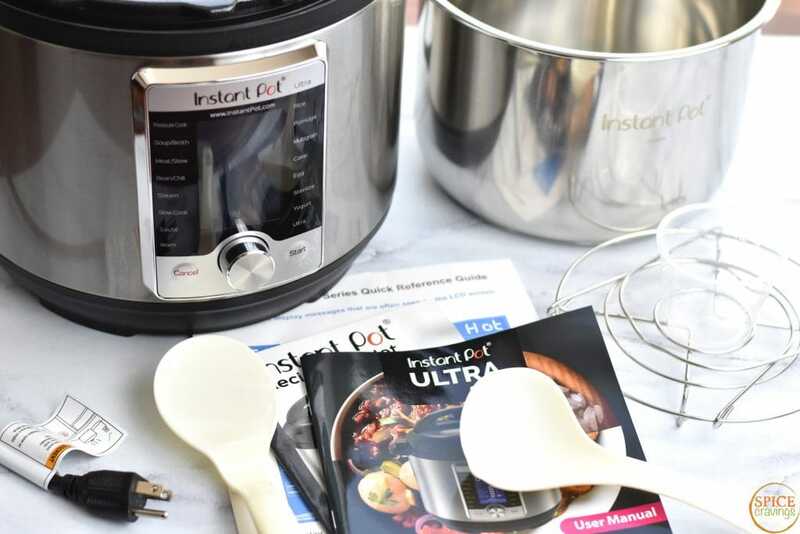 In this post, and video, for Instant Pot Ultra Unboxing and Getting Started, you’ll watch me open the box, assemble it, and go over the different programs and settings. So, let’s get this party started! 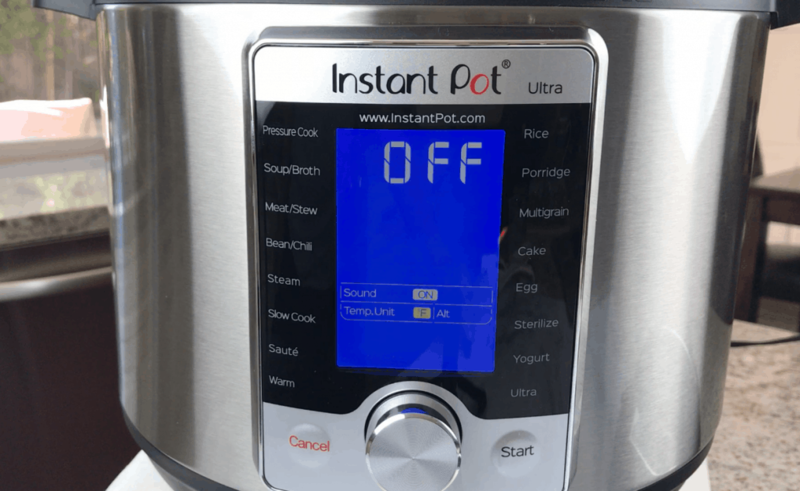 I also recommend that you check out my must-have Instant Pot Accessories (with recipes that use them for). 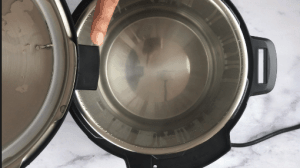 The inner pot, is convex shaped, so it’s normal for liquids to run to the edges. It has two capacity markings- 1/2 and 2/3 (MAX). Look for notches at the back of the base unit. Slide the condensation cup in, gently push it in. You’ll hear a ‘click’ sound when its attached. 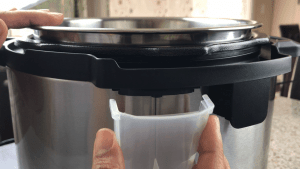 This cup collects the excess moisture when you place the lid in the base unit handles. 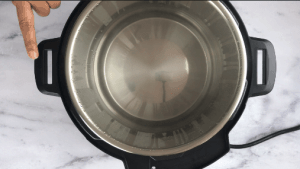 The lid contains the most important function of the Instant Pot- pressure building and releasing. It contains the following parts: STEAM RELEASE VALVE, PRESSURE RELEASE BUTTON, FLOAT VALVE, ANTI-BLOCK SHIELD & SEALING RING. Steam Release Valve: It’s normal for it to be wobbly. 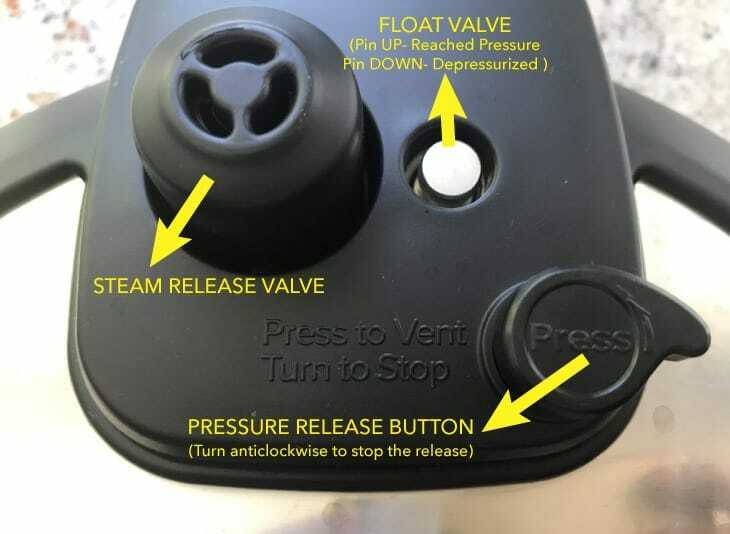 When cooking time is done, the cooker releases pressure naturally (NPR) or manually (QR), through this valve. 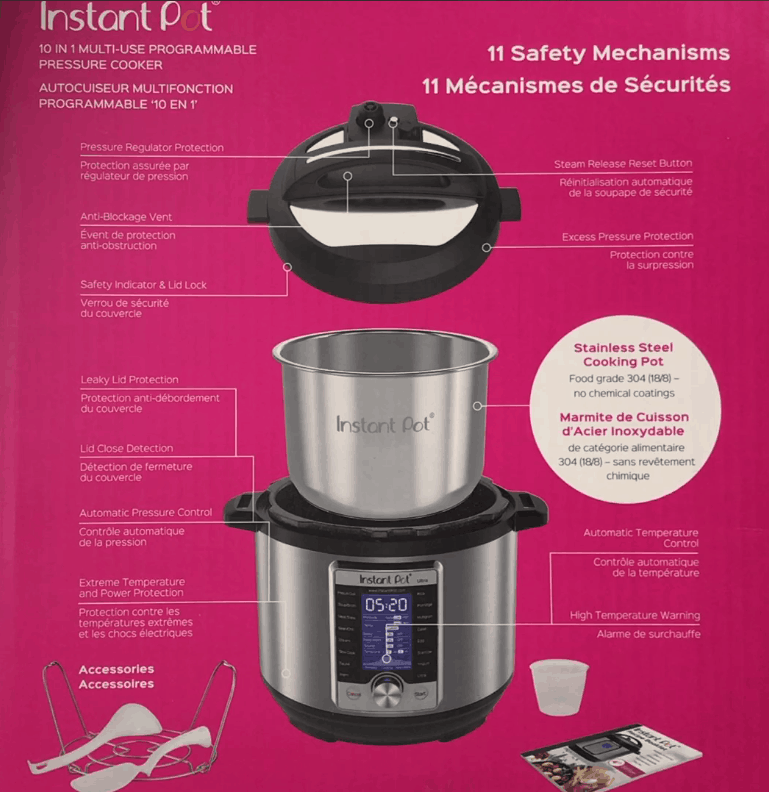 For more IP terminology, visit my page on Instant Pot FAQ & Terminology. 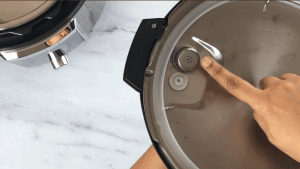 Pressure Release Button: Natural pressure release (NPR) is a slow process and takes anywhere from 6-30 minutes, depending on what you are cooking. You can choose to release the pressure ‘manually’ (also called QR- Quick Release), by pressing down this button. It can be pressed gently for a slow release, or fully down, for a full release. 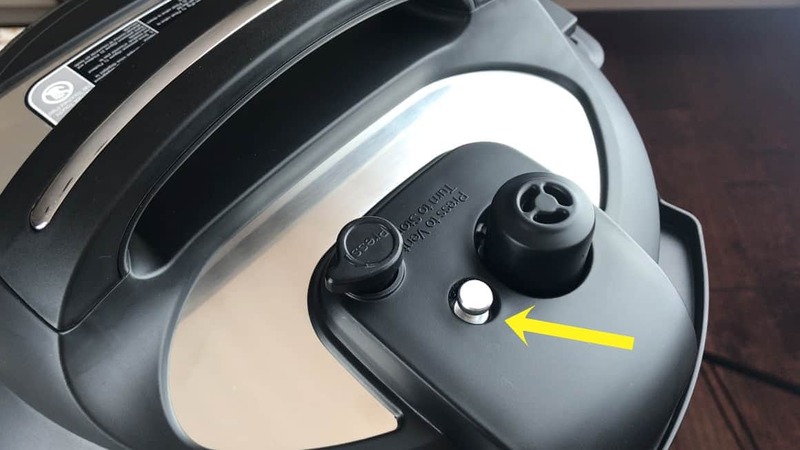 If you hit this button accidentally, or change your mind, you can cancel the pressure release by turning the knob anti-clockwise. Float Valve: This is also called the ‘Pin’. 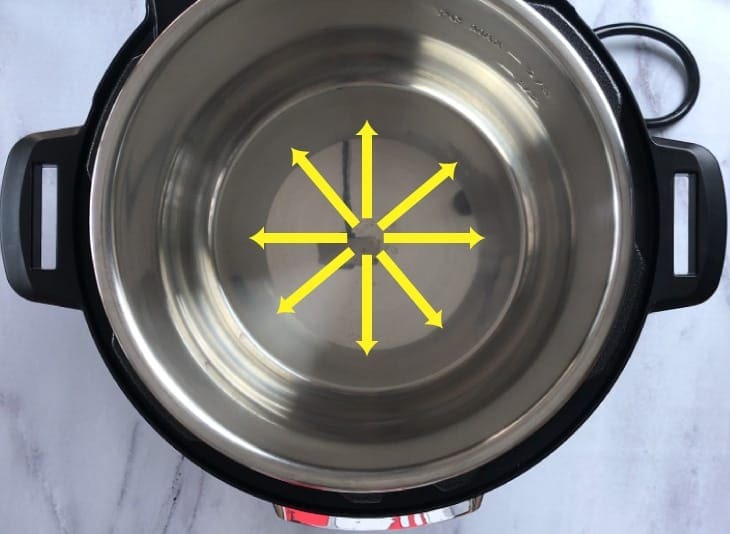 When the cooker reaches pressure, this pin pushes UP. 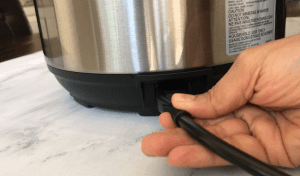 It falls DOWN to its default position, when the pot is completely depressurized. It’s ALWAYS best to check that the pin has dropped and the pressure is fully released, BEFORE opening the lid. 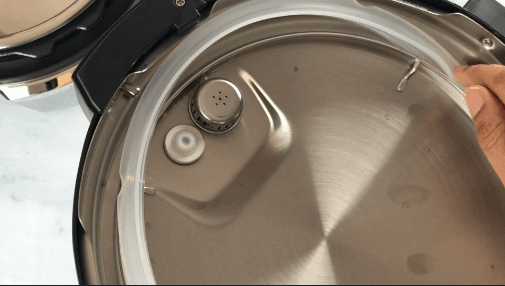 If the lid is giving you resistance, chances are that the pressure hasn’t fully released yet. Press the steam release button again and wait for the pin to drop. 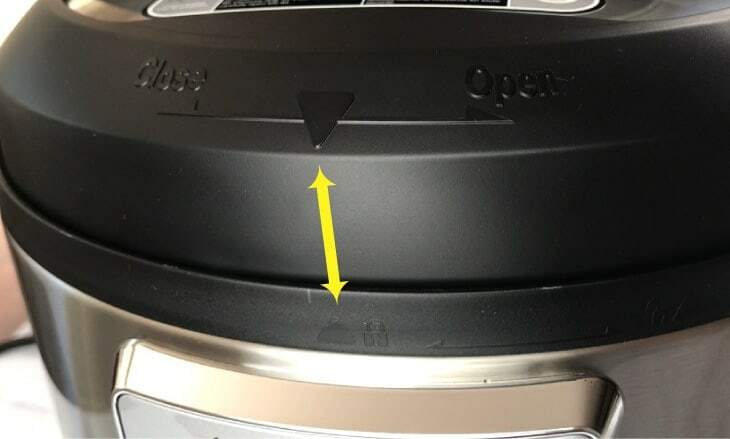 Anti-Block Shield: The anti block shield is located on the inner side of the lid. 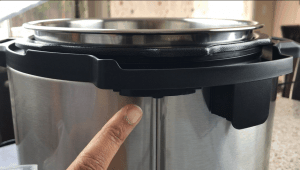 It prevents small food particles from clogging the pressure release valve. As per their website, “The anti-block shield should be removed and cleaned following each meal preparation, especially for meals that may splatter during preparation.” To remove it, using your thumb, push-outwards and up. You can also use a silicone mat over it and push. Remove it, clean it with soap and water, wash the lid and place it back. To place it back, simply push it back in place. I recommend you watch the video for clarity. Sealing Ring: The sealing ring is crucial to the pot sealing tight in order for it to build pressure. 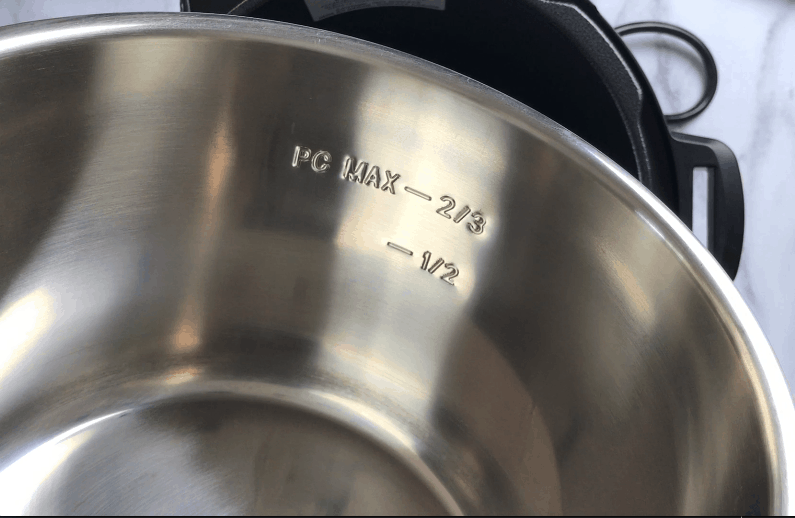 If the sealing ring is not secure and placed correctly, the pot won’t come to pressure. 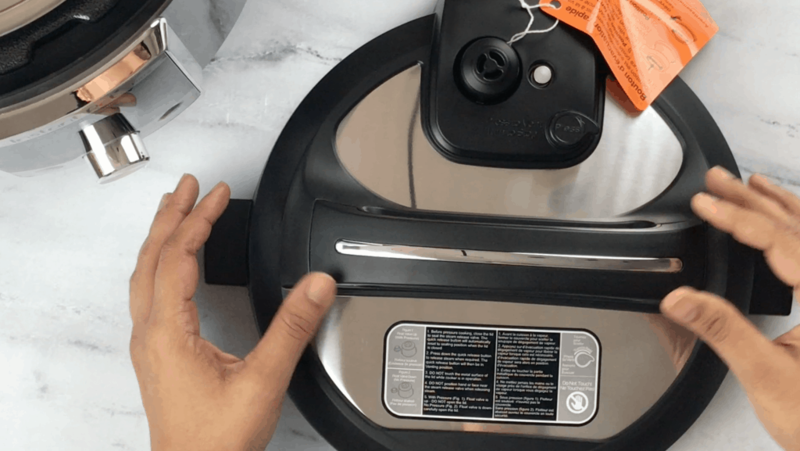 The sealing ring is dishwasher safe (top-rack) and should be cleaned after each use. To remove, simply pull it out gently. To place it back, slide it in between the outer rim and the metallic ring, and push it down. In the video, you can see me remove it and put it back. The one thing that I struggle with the sealing ring is the lingering ‘odor’. It tends to hold on to smells from the last thing you cooked. So, if you made salsa chicken last, you may want to use another ring for making chocolate lava cake 😉 One accessory that I thought was totally worth investing into was the set of ‘Sweet & Savory” sealing rings sold by Instant Pot. This is a set of two- Red & Blue. I use the red for savory dishes and the blue for sweet. 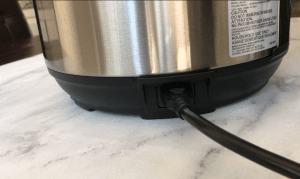 The base unit has a hook on both sides of the pot to hold the lid, before and after cooking. 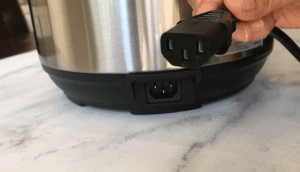 This feature comes in very handy, especially once the cooking time is done and you open the pot. You don’t have to look for a place to place that hot lid. You can just slide it in either hook. The extra moisture that drips off the lid is caught by the condensation cup. How To CLOSE the LID? 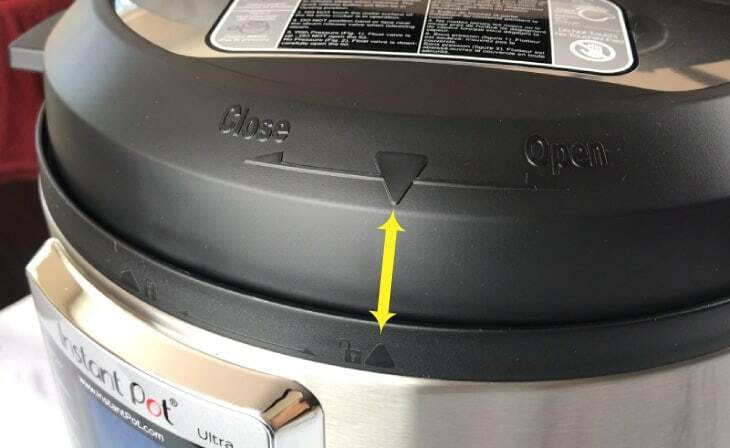 To CLOSE the lid, place the lid on the base unit and align the arrow in the lid, to the arrow with an open lock symbol, in the base unit. Rotate the lid clockwise and align the arrow in the lid to the arrow with a closed lock symbol in the base unit. If you’ve left your sound settings at default, you will hear a chime when the lid is locked. 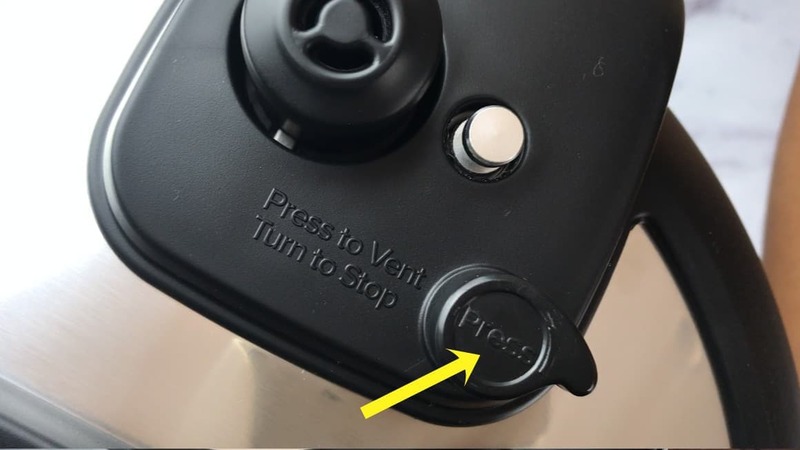 To OPEN the lid, turn the lid counter-clockwise and align the arrow with the open lock symbol. 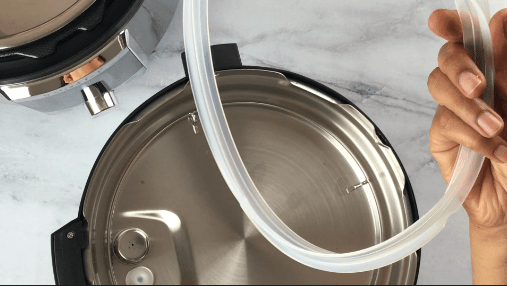 Pressure Cook – Default : 35 mins, high pressure; Pressure Options: High or Low, Time Range: 1 minute – 6 hours. This is my most-used program. I just change the time based on each recipe and press START. In some earlier models this program was called ‘Manual’. 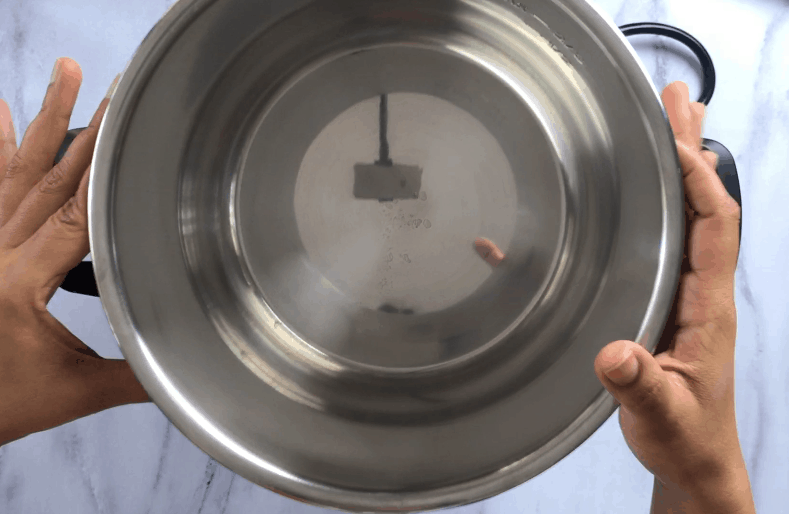 Rice & Porridge Maker – Rice: Low Pressure, 12 minutes . 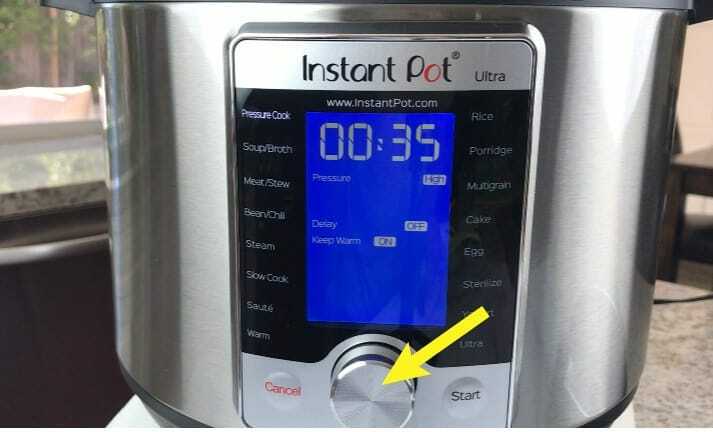 I don’t use this program, since I like to make rice at high pressure for 6 mins. It gives me great results. ; Porridge : High Pressure, 20 mins It’s ideal for making rice pudding. 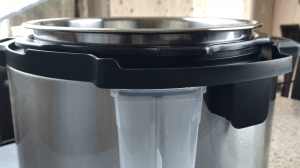 Cake & Egg Maker – Cake: High Pressure, 40 mins. I make amazing fudgy brownies using this preset. Really delicious & moist. ; Egg: High Pressure, 5 mins. 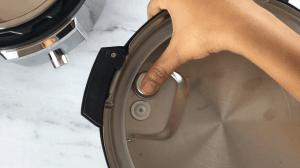 I use this setting for making Hard Boiled Eggs that are super easy to peel. 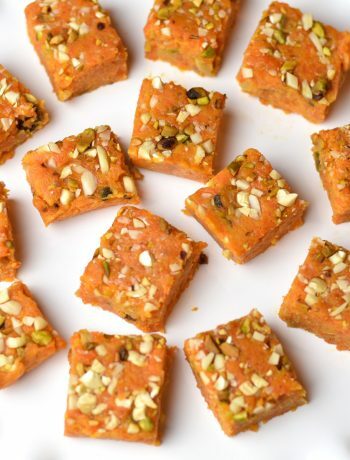 Yogurt – Temperature: Medium, Time: 8 hours. Using this setting, you can make yogurt in the main pot, or in a smaller pot, using the pot-in-pot technique. Saute’ – Temperature: High (For searing meat), Medium (saute aromatics), Low (simmering & reducing sauces); or, Custom (change time and temp). 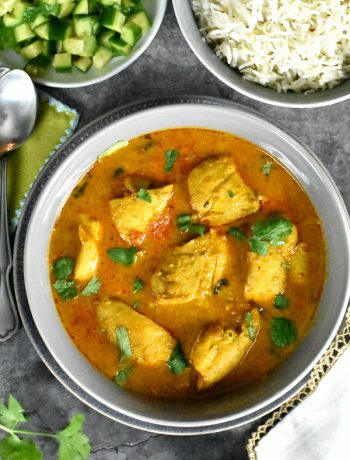 Slow Cook – Temperature: High, medium, low , or, Custom (temperature and time). 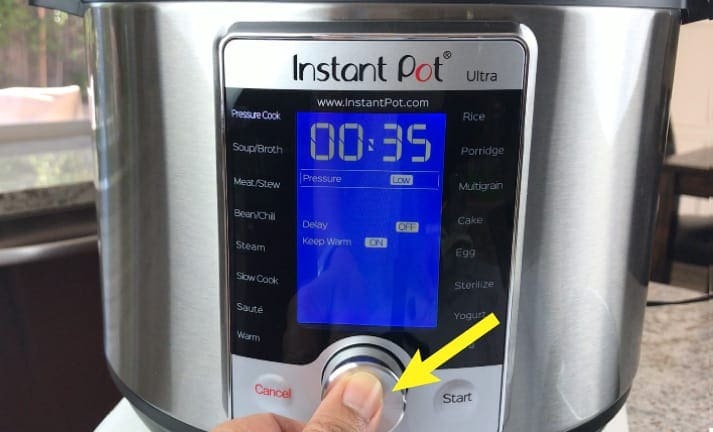 Steam – Pressure: High, low or NO pressure (comes in handy for steaming veggies and steamed dumplings, or Idli ( rice/semolina steamed cakes); Time Range: 1 minute to 4 hours. Warm – Temperature: high, medium, low or custom. 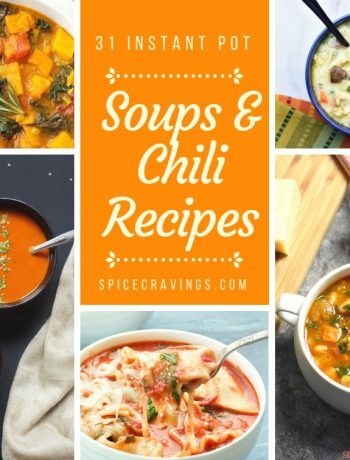 Comes in very handy for potlucks. 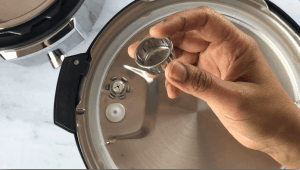 Sterilize – High, Low, or No Pressure. Time: 1-4 hours. 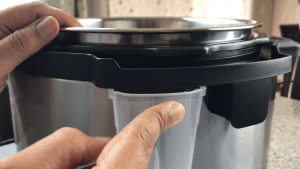 Useful for sterilizing baby bottles and food jars. Ultra– Custom Temperature, Pressure and Time. (can be used for sous-vide cooking). When you turn on the ULTRA, the LCD display lights up and you hear a chime. The ULTRA has a central dial to navigate through the different programs and settings. Turn the dial clockwise to move Right & Down, turn it counterclockwise to move Left & Up. If the display turns off, you can press the central dial to turn it back on. SOUND: Using the central dial, turn right, press and select Sound. The selected option will start blinking. By rotating the dial clockwise or counterclockwise, you can choose between ON or OFF. Press to select/confirm your choice. TEMP.UNIT– This setting gives you the option to choose between Fahrenheit and Celsius. ALT– This feature if extremely useful for people who live at a higher altitude. 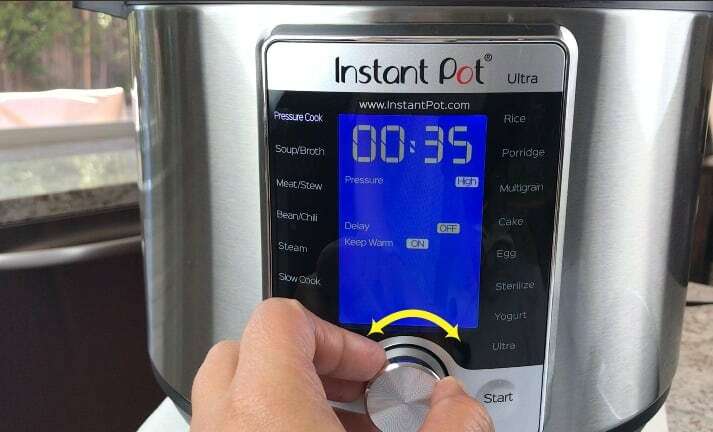 You set in your altitude once and then the pot makes adjustments to cook times for all your recipes. Once the adjustments are made, press the ‘Start’ key to save the system-level settings changes and exit. By rotating the dial, navigate to the program you want. Press dial to select or activate that program. Using the dial, you can navigate through- Time, Pressure, Delay and Keep Warm settings of each program. Time: Rotate right to increase time, left to reduce time. Delay: Default is set to ‘OFF’. Using dial, switch to ‘ON’, when it starts blinking, press to select. You can now set you timer anywhere between 10 minutes to 24 hours. Keep Warm: The default is ‘ON’. To change to ‘OFF’, press dial to activate, rotate to OFF, when it starts blinking, press dial to confirm. Press the dial to select the setting you want to change. Rotate the dial to get to the option you want. Your setting will keep blinking till you confirm. Press dial to confirm that setting. Press START to ‘start’ cooking. Hit CANCEL to move out of that program display screen. The CANCEL button acts as a quick RESET button for you. In the video, I change the settings of the “Pressure Cook” program. You can watch that for more clarity. This program is the latest feature added by the company, after which this pot gets it’s name- the ULTRA! It allows you to customize TIME, PRESSURE & TEMPERATURE. So, if you want to custom cook your food to a precise cooking temperature, time, and pressure, you can do so using this program. You can set any of these parameters to your liking, using the central dial. TIME: You can set anywhere from 1 min to 6 hours. PRESSURE: You can choose between 3 pressure settings- High Pressure (10.2 – 11.6 psi), Low Pressure (5.8 – 7.2 psi) or No Pressure. 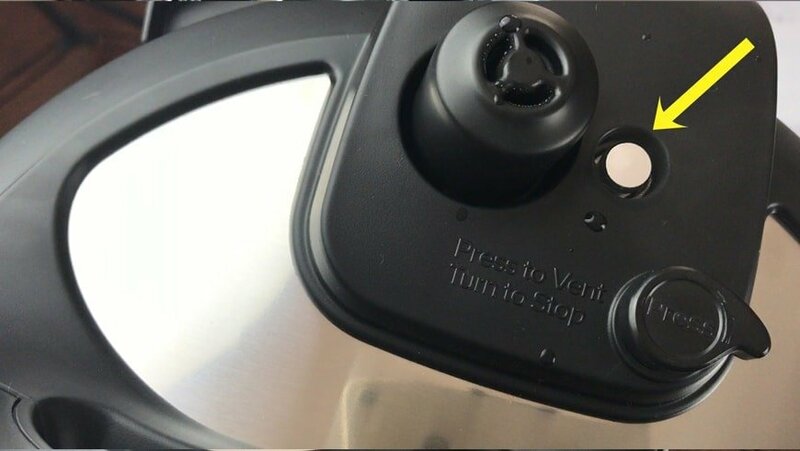 The No-Pressure setting is ideal for steaming veggies, while keeping them el dente, and also for steaming dumplings. TEMPERATURE: You can choose the specific temperature for your cooking, anywhere from 104-208°F. I plan to do some Sous-vide cooking using this program. 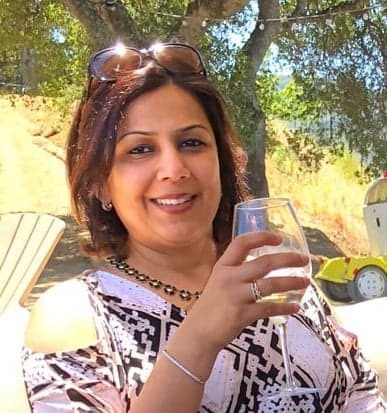 Will post my experience and results on this page.